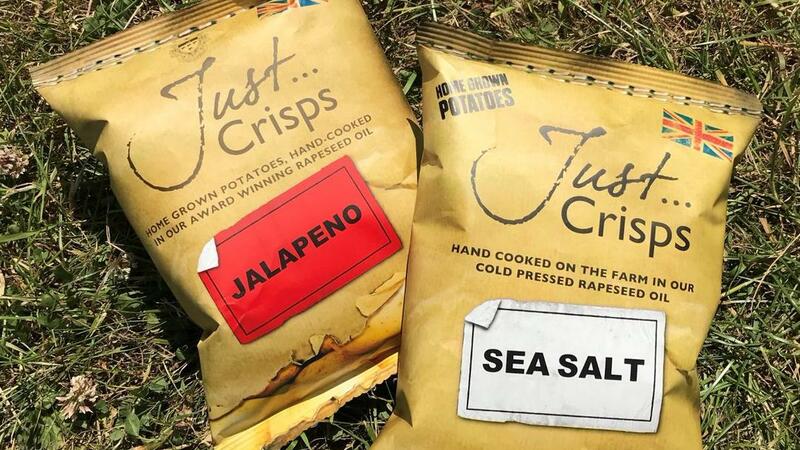 Producing Britain’s only 100% British Crisps from potatoes and rapeseed oil all produced on the farm is the unique claim to fame for Just Crisps. It’s a story or diversification, and sustainable self-reliance. Why import sunflower oil when we can produce a better-quality oil ourselves? When you are reliant on growing the two main ingredients in your product you invest in the long term to produce consistently high-quality products. Our passion for quality is shown in our small batch hand cooked process. We fry our crisps on the farm a few hundred meters from where the potatoes and rapeseed grow. Each freshly cooked batch is inspected by one of the team before progressing to the seasoning table. They are then checked again for taste, colour and texture before being bagged and boxed. 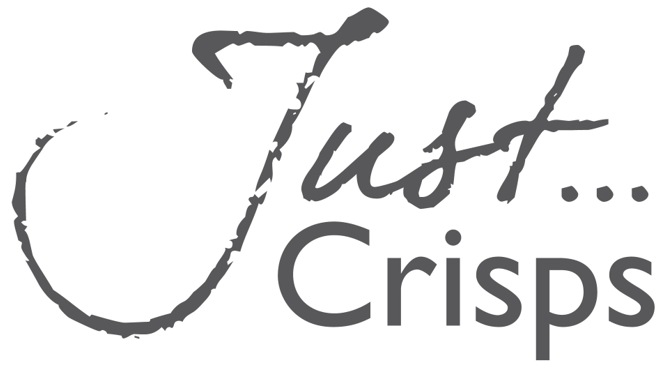 We have won multiple Great Taste Awards with our crisps and take pride in this endorsement of our quality and passion. Supporting local is also a key value we have. Our new frying production line, designed by ourselves has been produced by a leading Midlands engineering business. We have an eye on the future too - our roasted peas and beans are a great source of high protein and fibre for those wanting to eat more plant-based protein with a lower carbon footprint. In future years we hope to hand over to the next generation a brand renowned for its quality and sustainable values. 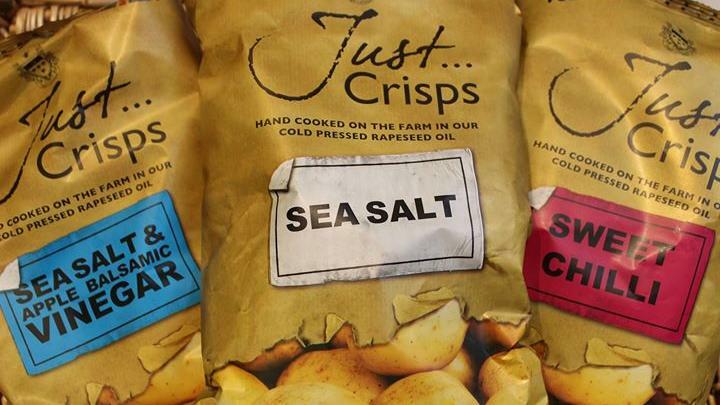 We produce our oil and potatoes on Wade Lane Farm, and our 25-acre lake is a sustainable water source, so we have all the key ingredients for being able to produce crisps with a low carbon foot print. While some crisp brands import potatoes and all import sunflower oil, our crisps have very low food miles. Our bank or solar panels generates clean energy which we use on the farm, factory and supply into the National Grid. The farm has been part of the Higher Level Environment Stewardship Scheme for many years, planting miles of hedges and laying down ground cover to encourage native birds and wildlife. We have bee hives on the farm, and as well as helping to pollinate the crops, the bees produce delicious honey. All our crops are grown to the Red Tractor standard. Supporting St Giles Hospice, the British Heart Foundation in Birmingham and St Mary’s Hospice, we are always happy to provide a raffle prize or donations to volunteers raising money for these good causes. If you would like our support, please email [email protected] - we are always happy to help if we can. All our waste oil and crisps are sent off for use as biofuel. The starch that is washed off our sliced potatoes is composted and also used as a fertiliser. As soon as a viable solution can be found, replacing our plastic packing is high on our agenda. As a first step we have started to supply Zero Waste stores with our crisps, peas and beans in reusable and recyclable containers. We work with local Young Farmers groups, Harper Adams University and the University of Warwick hosting visits, work placements and talks on the diversification plan being followed by Wade Lane Farm, passing on our knowledge and motivating the next generation. We have recently invested in additional frying capacity, having designed and manufactured the fryer in conjunction with a leading Midlands engineering business. Our new fryer offers greater energy efficiency, being able to produce more crisps using less energy. Nutritionals for Sea Salt Crisps. Average Quantity per 100g, Energy 2342 kj / 563 kcal, Fat 33.0g, Of which saturates 3.0g, Carbohydrates 58.0g, Of which sugars 0.3g, Fibre 4.1g, Protein 5.7g, Salt 0.8g. Our crisps are lower in saturated fat compared to others cooked in sunflower oil. As a nut free factory/site all our products are free from nuts. All our products are vegan except for our Mature Cheddar and Red Onion which uses responsibly sourced cheese powder, supplied by a BRC accredited producer.